Mon., June 18, 2018, 12:52 p.m.
Mike Zunino was around when the Mariners fell one game shy of making the playoffs in 2014. He was around for the second-half surge that briefly placed them second in the wild-card standings in August of 2016. He has seen SportsCenter-top-play walkoffs. He has heard the bellows of sold-out crowds. He has felt the thrills of big-league ball that every kid swinging an Easton dreams about. But he’s never experienced anything like this. Don’t worry about the Mariners’ 9-3 loss to the Red Sox Sunday. If this past home stand were “Seinfeld,” that defeat was just the dud of a finale punctuating an unforgettable run. You had the Mitch Haniger walkoff to complete the sweep of the Angels on Wednesday. You had the four-run comeback after a Benny Hill third inning vs. the Red Sox Friday. You had the combined shutout in the one-run win against the Red Sox Saturday. And more than anything else – you had the state watching. These past three games featured the largest Friday-Saturday-Sunday attendance at Safeco Field since 2007. And if you’re thinking it’s only because the Sox stuff the stadium with Bean Town fans, you weren’t paying attention. Usually in games against the Red Sox, Yankees or Blue Jays, you can’t tell who the crowd is cheering for if you closed your eyes. But this time, “Let’s go Red Sox!” chants had minuscule, almost non-existent lifespans in a park that was 75 percent pro M’s. Why wouldn’t Mariners fans flood the yard these days? The team’s 23-9 record since May 15 – which happened to be when Robinson Cano got popped with an 80-game PED suspension – is the best in baseball. They are also tops in MLB in one-run wins (23), one-run games (33) and comeback wins (21). 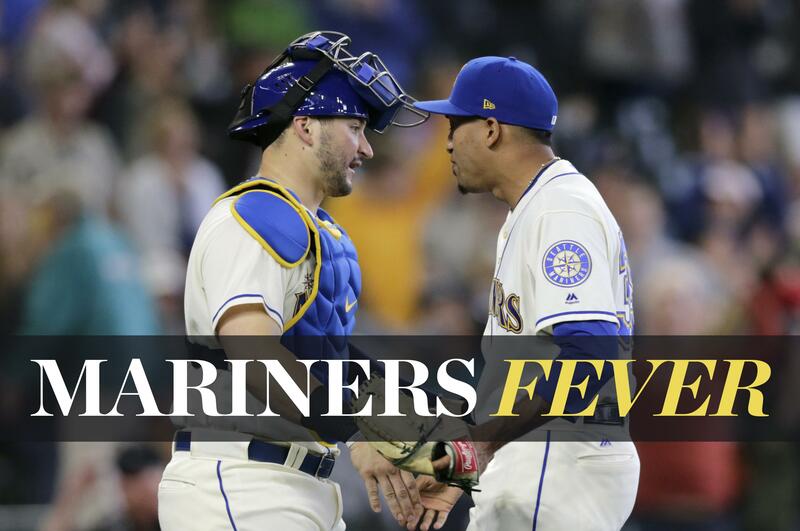 Pretty soon, fans will be singing “buy me some peanuts and a defibrillator.” The M’s don’t just win, they take a week off your life nine innings at a time. But all these theatrics are giving this city a charge it hasn’t felt for at least 10 summers. It’s reminding folks that a soldout Safeco can be as aesthetically pleasing as any Seattle scenery. Will it last? Mariners manager Scott Servais seems to think so. And given what he’s witnessed 72 games into the season, why wouldn’t he? The official attendance Sunday was 46,462 – the seventh-largest in Safeco Field history. That tops off a weekend that saw 44,459 people Friday and 44,151 Saturday. The last time this stadium was that packed over three days was when the Yankees helped draw 136,550 fans 11 years ago in May. The next time the Bronx Bombers are in town, by the way, is during a Friday-Saturday-Sunday stretch in early September – which could produce season-high crowds. Of course, for that to happen, the Mariners would need to keep defying the probability gods by squeaking out these one-runners. They would need pitchers such as Wade LeBlanc and Marco Gonzales to keep pitching near All-Star form. They would need Jean Segura to continue to lead MLB in hitting, Edwin Diaz to continue to lead MLB in saves, and for most players on this traditionally injury-cursed club to stay healthy. You can’t bet on that, can you? Actually, I don’t know. With each passing series, it’s looking sillier to bet against it. Published: June 18, 2018, 12:52 p.m.